Few people associate Baltimore with Italian food, after all, our city is synonymous with Old Bay seasoning and crabs. However, Baltimore has a small, yet historic Little Italy neighborhood just a few blocks from the Inner Harbor that is home to many authentic Italian restaurants that strive to recreate Old World flavors for modern audiences. Italian food (well, the American-ized form) is typically not gluten and dairy-free friendly. However, when prepared using fresh ingredients in more traditional recipes, much of the abundant gluten and dairy disappears from the menu. 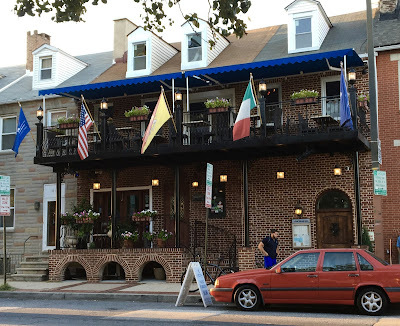 La Scala, one of Baltimore's Little Italy restaurants caught my eye for their gluten-free pasta offerings and willingness to accommodate dietary restrictions. Eager to see if La Scala was the real deal, I made sure to put it on my itinerary during a short visit from my mom. 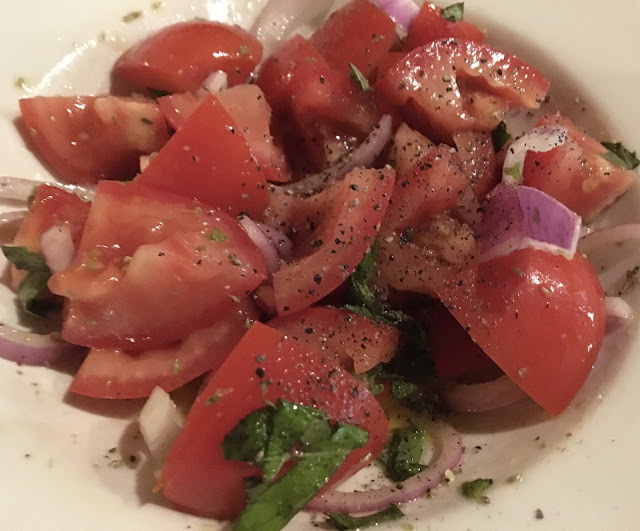 Everything at La Scala is made from scratch, which makes eating out with dietary restrictions less intimidating because the staff know what is in every dish. 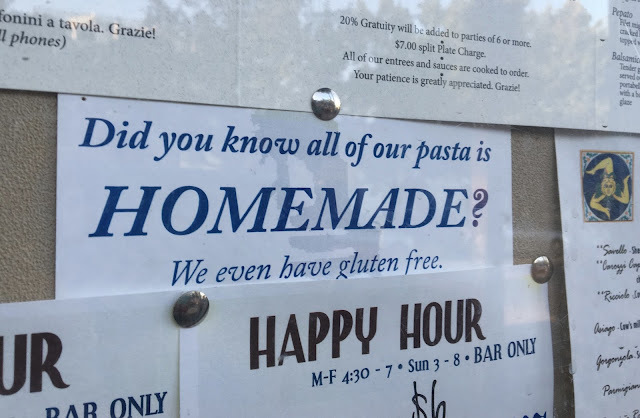 Gluten-free pasta is on hand to exchange in pasta dishes, but you don't have to stick to that portion of the menu. There's plenty of meat and seafood specialties that can be adapted. The restaurant definitely has the atmosphere of an old world eatery (even though it opened in 1995). There's an indoor bocce court adjacent to the dining area, and the restaurant has beautiful exposed brick interior walls with plenty of mementos of Italy and prior celebrations in the restaurant. For an appetizer, I ordered the pomodori freschi salad, which consisted of tomatoes, basil, red onions, olive oil, with fresh ground pepper. Though the ingredients were simple, the taste was divine, as the freshness of each ingredient's flavor created sheer perfection. It was a dish that I could have eaten an endless amount of, and I liked the generous portioning for an appetizer course. For my entree, I went with the alla cacciatore chicken entree which was gluten and dairy-free with no alterations. 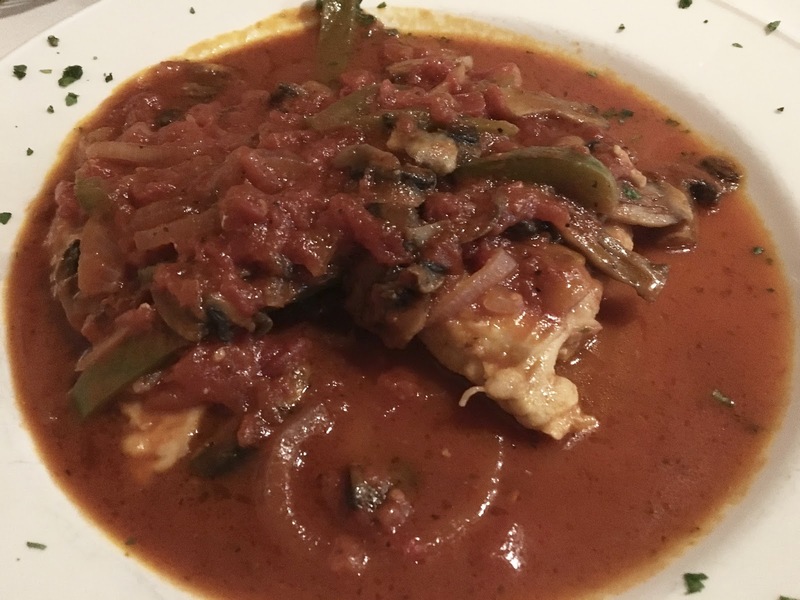 Thin, tender chicken breasts were topped with onion, green pepper, and mushrooms in a red wine tomato sauce. The sauce was robust and had a complex flavor profile that left me wanting to scoop up every last drop. The portioning was quite generous, and the dish was both satisfying and not too heavy at all. The entree came with a side of pasta, which allowed me to sample the gluten-free version. I asked if it was boiled in the same water as "normal" pasta, and our waiter assured me it was not. It seemed to me like store bought corn pastas I've had before, and it was cooked to a perfect al dente. The marinara it was coated in was good, but I liked the red wine sauce on my entree better. On my next visit, I vow to order a pasta dish to get the whole effect. Overall La Scala was definitely a success in my book. The food was top quality and the prices were reasonable, especially for the large portions. 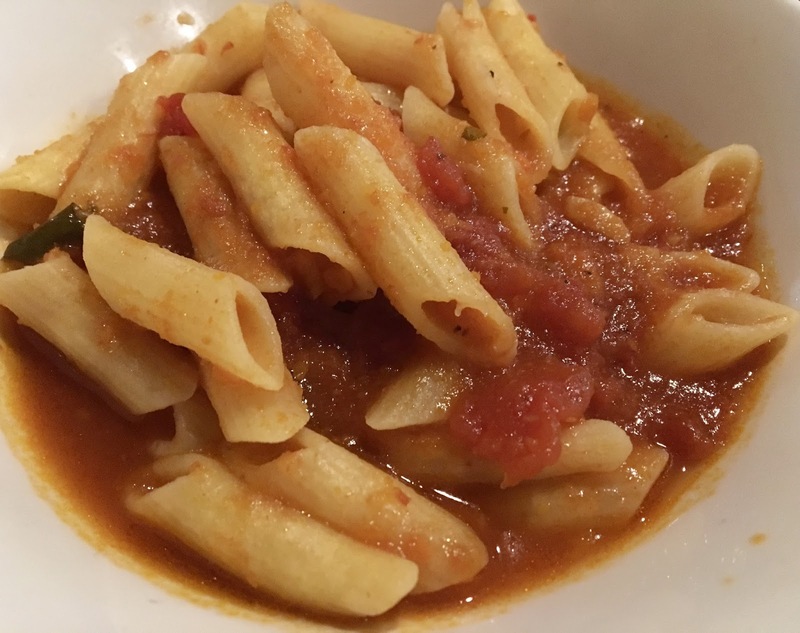 Although I have had good Italian food at much larger chains, there's something special about enjoying authentic cuisine in an authentic environment, in the heart Little Italy. Although I have been in Baltimore for a few years now, I sorely wished I had ventured into Little Italy a bit sooner than now. Nonetheless, I eagerly await my next visit to La Scala.